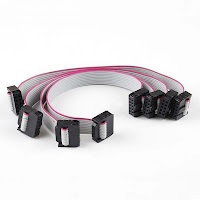 We needed to take photos of our products (mainly UNIBlocks) and put them on our online webshop. 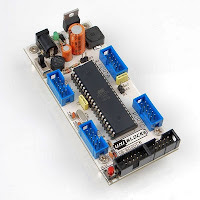 We were impressed by the product photos put up on their websites by a few other similar companies based in countries other than India (like Sparkfun, Jee Labs and Seeed Studios). So we set out on a quest for "technology and methodology" for taking the perfect photo of our products. We had a DSLR camera (Nikon D40x), but we needed something more. 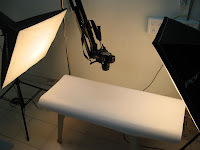 And since we were at it, I thought why not try to make the whole photography process simpler - so that even those who were new to DSLRs and expensive studio equipment, could easily and swiftly take good photos. The first step was to get a eye.fi card. 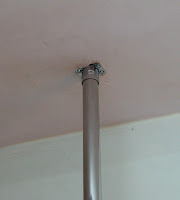 Having a way to quickly and conveniently pull a photo from the camera (and that too wirelessly!) would be super useful - I would be able to look at the final photo immediately after clicking it and check if it has come out properly. This minimizes the time for arriving at optimal settings for a particular scene via the "trial and error" method. eye.fi is a small PCB with a microprocessor (running an OS), some flash memory and a WiFi Chipset all packaged inside a standard SD card connector. It works just like a standard SD card. 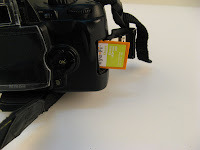 The camera saves photos on the card and after doing that, the card sends the photos over WiFi to your PC. eye.fi's aren't available in India. So I asked one of my friends in US, to buy one and send it to me - and I was pretty much impressed with the results! eye.fi's are available in many variations, some can upload photos directly to flickr/picasa, others can transfer videos and raw files. You can check out their website to see which options suit you best. 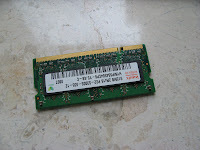 In our case, the simplest one which could transfer pictures to a PC was all that was needed. 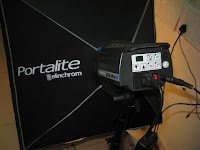 2) The digital lights, boom and a wireless trigger! 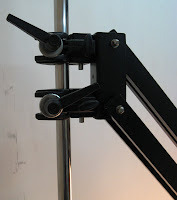 Since I knew zilch about professional studio equipment, I turned to a friend of mine. Tejal and I were classmates for 4 years at our undergrad college - Vivekanand. Tejal works with her dad who is a professional photographer and has his own studio. I had been pestering her to allow me to install an eye.fi card in one or more of her cameras (and a wifi router) at her studios to ease their workflow and to help me buy equipment for my own customized mini studio. So we set out to upgrade her sudio and setup my own. After looking at the products whose photos I wanted to take, Tejal's dad suggested that a pair of digital studio lights would do the trick. So they graciously agreed to help me with that, and after they were done, I had a complete mini-studio at my workplace. 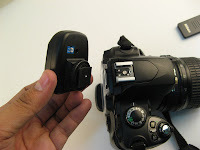 One very important piece of equipment which Tejal and her dad got me was the wireless trigger. 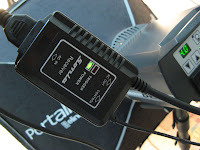 The system has two parts, one of them fits over the camera (the socket which is meant for attaching a flash), and the other sits on one of the studio lights (connected in series with the power supply to the light). 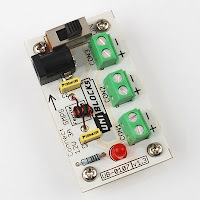 When you click a picture, the module sitting over the camera wirelessly sends a signal to the receiver connected to one of the lights. The receiver fires the flash trigger of the light to which it is connected. 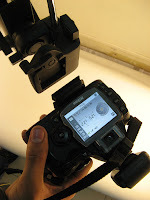 The optical sensor on the second studio light senses the flash from first light and triggers its own flash. 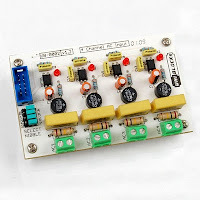 The DIP switches on the wireless trigger system allow addressability - so in effect if u have a huge studio with multiple people working, you can have upto 4 wireless trigger systems working simultaneously without cross triggering each other. 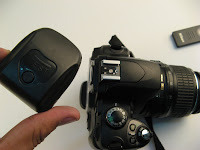 There is an optional accessory which one can buy for Nikon D40x, its an infrared remote control (called ML-L3) for triggering the camera to click a picture from a distance. This is specially useful if you have mounted the camera on a tripod with an intention of clicking picture with yourself in it. So I asked Tejal's dad to get me one. 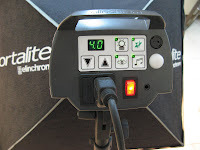 I use an infrared remote control to WIRELESSLY trigger the camera which clicks a photos while simultaneously triggering the studio lights WIRELESSLY using RF. 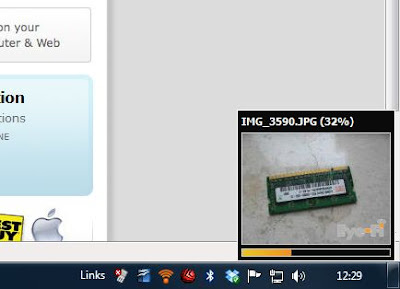 The photo itself is then WIRELESSLY transmitted to my desktop computer sitting next door using WiFi!. The photo appears on my laptop sitting in the studio over a Network Share accessed WIRELESSLY over WiFi - What Fun!